Though voicing no overall criticism of Israeli state policy when it comes various issues involving regional politics, its own nuclear weapons program, or its treatment of Palestinians in the occupied West Bank and the Gaza Strip, the number of U.S. lawmakers who now say they will not attend the speech of Prime Minister Benjamin Netanyahu on Tuesday has grown to nearly 60 members of Congress, with high-profile Democratic Senators Elizabeth Warren and Al Franken among the most recent to register their objection to the address. According to The Hill on Tuesday, nearly a quarter of House Democrats will not attend. 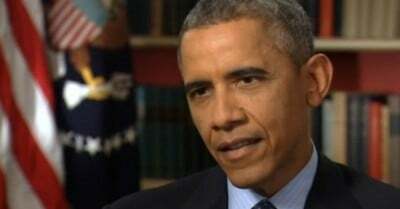 Meanwhile, President Obama sat down with the Reuters news agency and offered his most detailed comments yet about the so-called “rift” that has publicly percolated around the prime minister’s decision to address the joint session just weeks ahead of Israeli elections. The speech also comes amid tense, high-level talks in Switzerland this week, where Iran and the P5+1 nations (the U.S., U.K., China, Russia, France, and Germany) are in the final stages of trying to reach a deal on monitoring for Iran’s nuclear program in exchange for sanctions relief. In his remarks to Reuters, President Obama also affirmed the “depth of the U.S./Israeli relationship” – a bond, he said, that would never be broken.